I wasn’t going to make a new thread for this because it is a stock bike, though as I already plan to make some changes, I figured it’d be worth documenting. I picked up this massive Crave SL last Friday, after I sold my Nature Boy a month or two earlier. The Nature Boy was a fun bike, but I wasn’t really riding it and I’m spending more time commuting on my Vespa, which I find more enjoyable coming from the east side of town. The Nature Boy made a great commuter, I didn’t like it off road however. It sold in 4 hours or something silly like that, so I hope the new owner likes it. Photo of my new Crave. I’ve already discovered that the current gearing is terrible for getting places, so I’ll be going a 1x10 setup in the near future. I haven’t had a bike with gears since about 1998, so it is almost a whole new world. I just took it on it’s first off road ride and was impressed. That’s one of the main reasons I recently sold my SS MTB. It was great on trails, but I hated spinning the 10km+ to get to them. 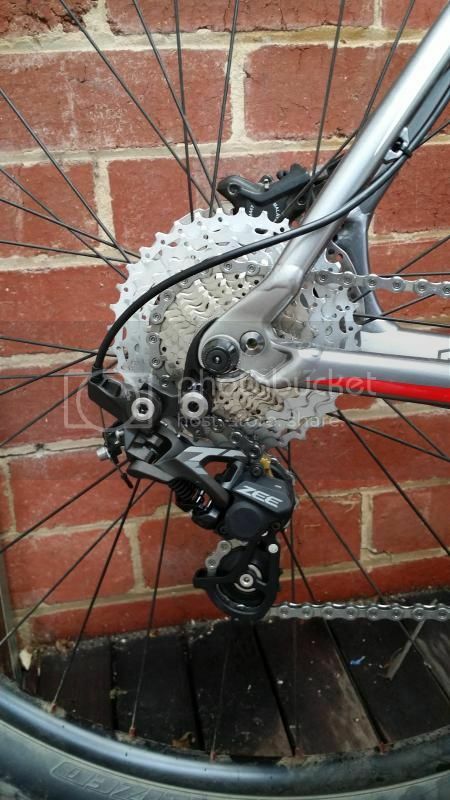 Horizontal dropout and no derailleur hanger meant no possibility for gears. 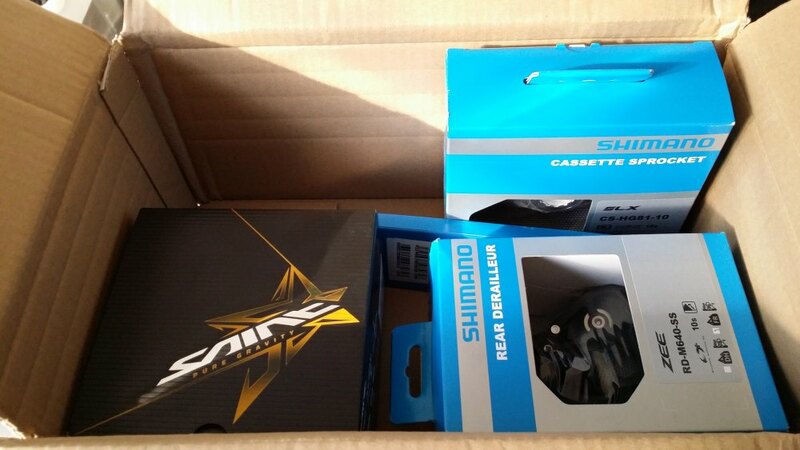 I ordered some gears a couple weeks ago, which turned up yesterday. I incorrectly ordered a I Spec shifter, so I’ll get rid of that and have a bar clamp one on the way anyway. Will install once my shifter turns up. Haven’t hit the trails yet though, will report back soon. Looks good dude. Nice setup you ended up going with. I haven’t had gears on a bike for 15 years, it’s a nice feeling. I’m looking forward to riding up some steep hills, very easily! 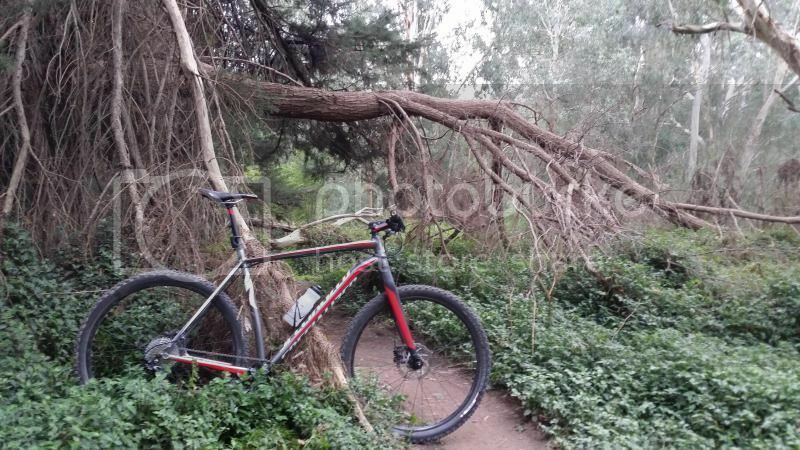 Just spent a couple hours along Yarra Trails, gears make this bike much more enjoyable. It isn’t like I’m changing gears all the time, it’s just nice to be able to not always feel like you’re in the wrong gear. Didn’t drop a chain, all is good. Took the Crave out yesterday on Gravel Grinders, quick holiday from #SOTB! I haven’t ridden this bike much at all over winter, and maybe twice since then. The bike handled great, particularly on the descents. I struggled on the hills, mainly due to never really riding anywhere with hills! Flipped the stem to get more weight over the front of the bike, there were a few times were the front of the bike was choosing its own line. I’d like to put new brakes on it, but that is only a thought at this stage. I really, really like this bike. Theres something very appealing about it. 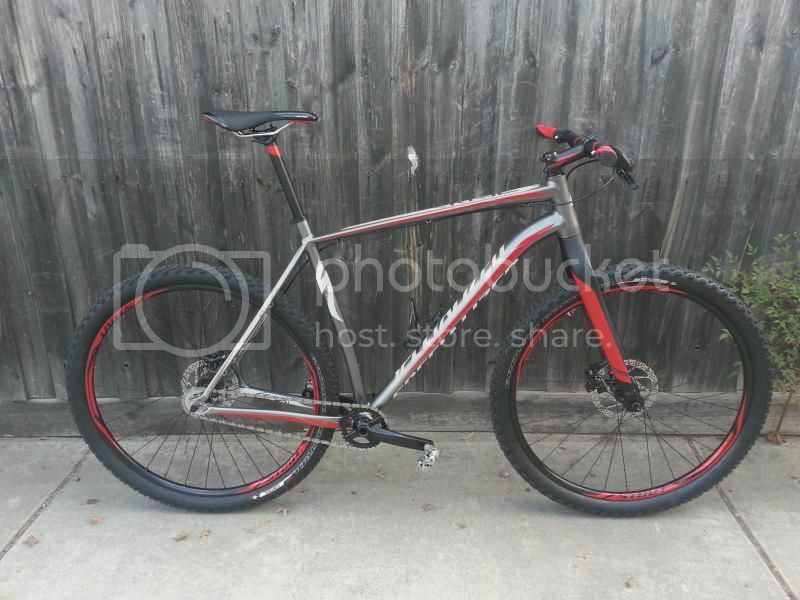 Does it have a carbon fork btw? 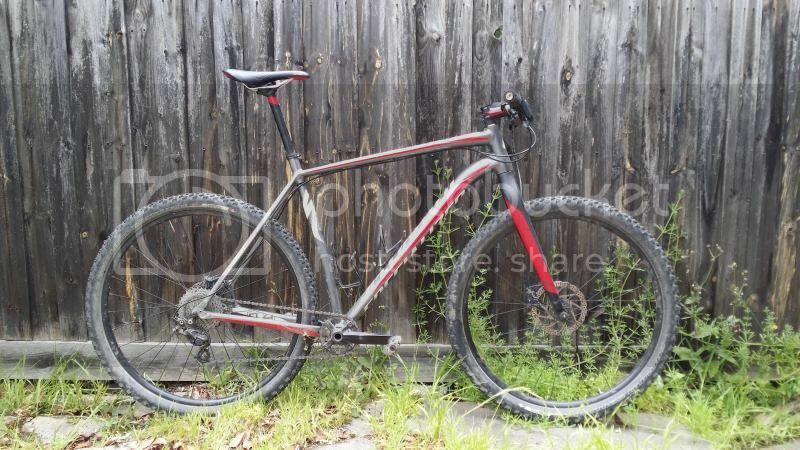 ^Yes, comes stock with a carbon fork. All I’ve done since buying it is put 1*10 on it and change the grips. After yesterday I can vouch for how quickly this thing goes on steep downhill fireroad and gravel, absolutely SWINGIN! Interesting, How does this handle when you pop monos through a gate? Ezy, refer to your Instagram DM inbox for a small update on how well it monos. Ahh rad - we are instagram DM buddies now. Prepare for n00dz. It’s been ages since I’ve ridden this bike. Back running SS and have SLX brakes with barspin ready brake lines. I’ve had these brakes for a while, just never mentioned them in this thread. I replaced my beat rear wheel with a Shimano MT55 complete wheel and a SS kit. Centrelock discs are great! I went back to SS because the jockey wheels on my derailleur were cactus. Currently running 32/16. 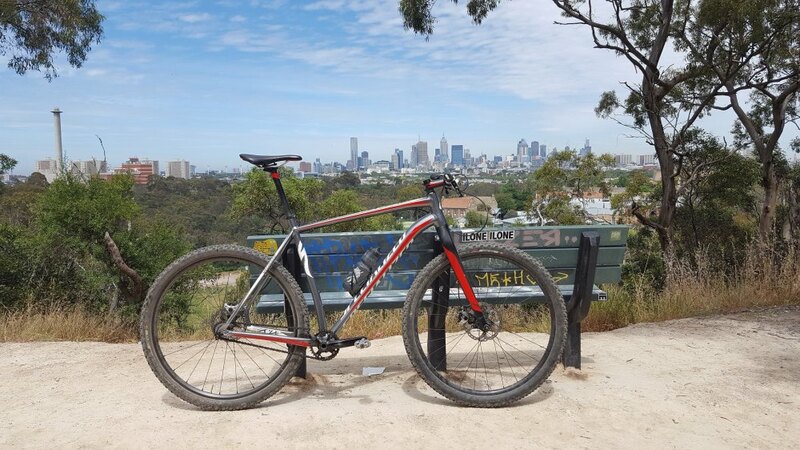 Good gearing for Yarra Trails, probably a bit tough on any real trails with real hills. Some new tyres would be nice, along with tubeless. Will look into that. great bike as always moccos.